I mentioned its predecessor, Nehrim, in my big PC mods roundup last week, so it's only fair today I point out a project a little more contemporary in its aims. Enderal: The Shards of Order is a total conversion for Skyrim, in development by the same team behind Nehrim, that seeks to take the bones of the fifth Elder Scrolls game and give us an entirely new experience. New characters, new story, new lore, new universe, the works. Well, sort of new. While entirely divorced from the events in Elder Scrolls, Enderal is a true sequel to Nehrim, continuing the events of that mod/game. 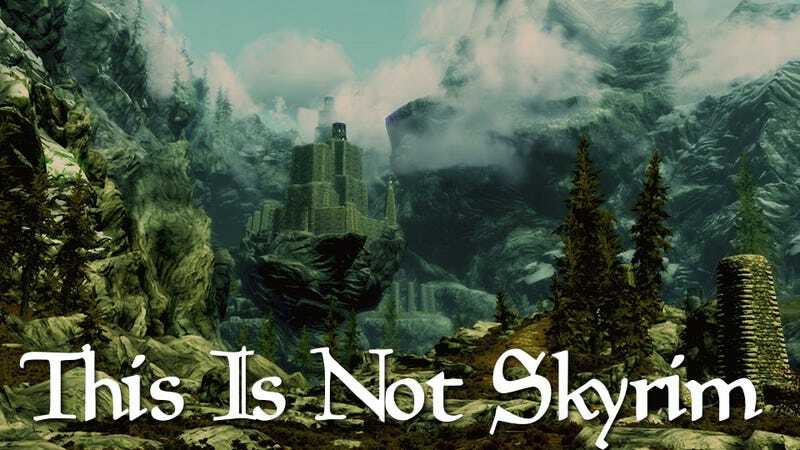 As you can see in the images and artwork below, featuring entirely new landscapes and vegetation, this ain't your daddy's Skyrim.